Love your job. Love your blog. 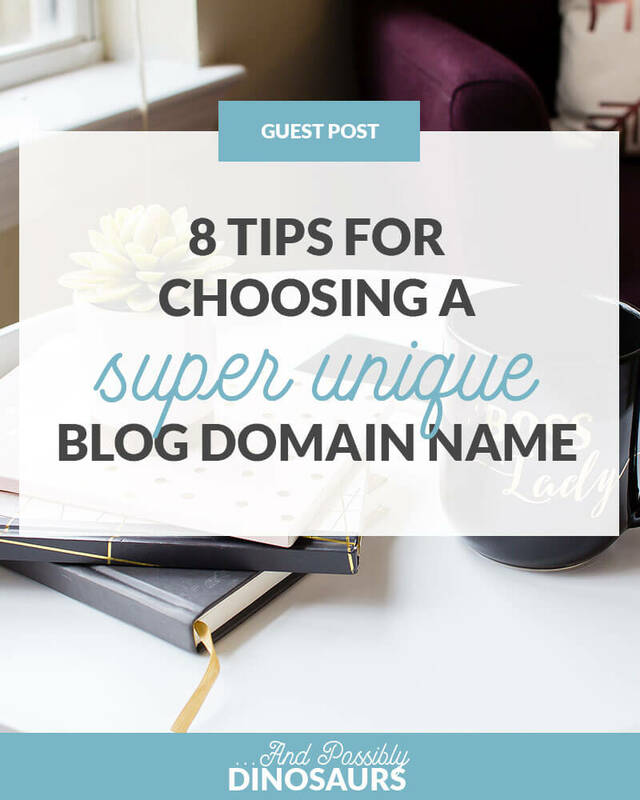 Choosing a domain name is one of the most important things you can do! At the same time, it is difficult to find a unique and eye-catching domain name that isn’t already taken, especially if the subject matter of your blog is popular. Finding a domain name for your blog that is both memorable and available creates a little bit of a challenge, but don’t worry! It can be a fun challenge if you get creative. Here are some tips to get you started. If at all possible, stick with a .com domain extension. People are so used to typing .com at the end of website addresses, that they might grow confused if you use one of the newer extensions, such as .pizza or .photography. Domains that are dot-coms are also more memorable to users. If the user types .com to the end of a different extension, then they will go to an error page instead and likely not even visit your site. Even though the lack of available domain names might force you into adding a word or two, keep the name as short as possible. This goes back to having a memorable domain name that readers remember from one visit to the next. Swap out a few different combinations of your ideal domain name until you find one that is available — but make sure it’s short and to the point. A good rule of thumb is to stick to 10 characters or less for domain names. What if someone already has your business name and you really want that for your domain? As long as the name isn’t trademarked, register a domain name that has your name and location. For example, you sell paper and your company name is The Paper Seller. But ThePaperSeller.com is clearly taken. You could add your location in and make it: The[insert city or state]PaperSeller.com. Or if you live in an area with a long or commonly misspelled name like, say, Indianapolis, you could find a fun, cutesy way to abbreviate it, such as TheIndyPaperSeller.com! Adding the location differentiates you from another paper seller located in another city or state, but a strong name like this can also even establish you as THE paper seller for Indianapolis. Just be careful not to make your name too much like the other site that has a similar name, or people might confuse your sites. Try to find a balanced sweet spot. Avoid double letters back to back. This increases the chance of typos and errors where the visitor isn’t taken to your website. Is there a different word you can choose or a different way to say the same thing without using double letter words? You’ll also want to make sure your domain name is easy to spell. Ask a few people if they know how to spell the domain name before you commit to it fully. If your chosen words are taken and you can’t find anything similar that works, consider combining words to create your own word. This word should tie back into your business in some way and also be easy enough that customers remember it. Think about using sounds as words, adding prefixes and suffixes or adding an article to the front of the name. One example of this is the site Friendster.com. They simply added the suffix “ster” to the word “friend” to come up with a new word. Similar to creating your own word or adding a locality, putting a subtle call-to-action word in your domain name can differentiate you from another similar domain in the best way. It lets your visitor know what to expect, and the action word may even subtly encourage them to choose your company or site! For example, rentpmi.com, as you can see, is a property management company. They go by PMI, but pmi.com is clearly taken. Adding in the “rent” not only differentiates the domain, but also lets the visitor know that this will be a site about rentals or renting, and that if they’re looking for the property management company, they’ve likely found the right place. It also subtly suggests that the visitor should rent (from) PMI! If there is a lot of competition in your industry, finding the perfect domain name may seem nearly impossible. Fortunately, domain name generators can help with the process. Start by brainstorming unique names. Next, type those names one by one into a wizard that will check the name against what domains are available and choose similar suggestions. As you browse through the choices, remember to keep it short and easy to remember. There are few things as unique as your own name, unless it is John Smith, and then you will need to add something to that for a unique name. A personal name works especially well for blogs, which show personality anyway. If you do have a common name, or your name is already reserved, try adding a middle name or identifier. One example would be JohnSmithPaints or something that identifies what you do, where you are, or what your blog is about. While a unique name can be a great idea, you also need a name that is easy to remember and makes sense. Don’t go so unique that users are left scratching their heads and wondering what on earth your name means. Even though a unique name is fun, at the end of the day, a straightforward name that readers remember and can find easily is much more important. Kate Harveston is a freelance political writer and blogger. Her work deals mainly in issues of social justice, equality and human rights. When she's not writing, she can usually be found relaxing with a book or exploring the city. To follow her writing, you can check out her blog, Only Slightly Biased. Want access to a free library of resources? Sign up for the Herd — the weekly newsletter where I share actionable tips for bloggers and career-focused women. By signing up, you also get access to the FREE And Possibly Dinosaurs resource library! Hi! 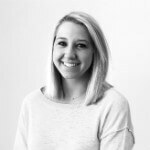 I'm Caitlin, and at And Possibly Dinosaurs, I embrace the fact that you can love your job and love your blog; you don't have to choose one over the other. Whether you need a creative outlet, a side hustle to pay off your student loans, or want to grow your skills to boost your resume, I'm here to support you. At And Possibly Dinosaurs, I embrace the fact that you can love your job and love your blog. Whether you need a creative outlet, a side hustle to pay off debt, or want to grow your skills to boost your resume, I’m here to support you.